This year is Stampin Up’s 30th Anniversary and they’ve been doing things a little different this year. In the past, we’ve received the Retirement List at the beginning of May, the month before the new 2018-19 Catalog starts. This year, we received the Retirement List this week. In case you’re new to Stampin Up, the Retirement List is all of the fabulous products that we will say goodbye to with the end of the current 2017-18 Catalog. You can check out all the retiring products here in my store. There is a link that says “Retiring Bundles”. You might notice that there are items here that the stamp set is not on the Retiring Stamps List. This means that the special bundle pricing is going away, but not the products themselves. For example, the Climbing Orchid bundle is retiring, but both the Climbing Orchid and Orchid dies individually will still be around for at least one more Catalog. If there is a bundle you’re interested in, I recommend getting it now while you can take advantage of the bundle pricing. You might also notice that all of our ink pads and reinkers are on the Retirement List. Don’t panic, we are not getting rid of all our inks. 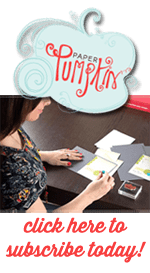 Stampin Up has redesigned our ink pad cases, therefore all the current-style ink pads will be retired. The new ink pads have been reformulated to include a defoaming agent in the ink. If you had a stamp pad that bubbled when you tried to ink your stamp, this will reduce that bubbling. The new ink refills will include the defoaming agent. Now, you’re probably wondering if the new refills will work with the old pads and the answer is yes. However, it’s not recommended to use the old refills on the new pads. If you have the ink pads for any of these colors, I strongly recommend purchasing the reinker for it as soon as possible. With a reinker, your pad will last you for years. This is also the time to stock up on any card stock, ribbons, or embellishments in these colors as well. I expect these items to sell out quickly. Once the products retire or sell out, they will no longer be available to purchase. 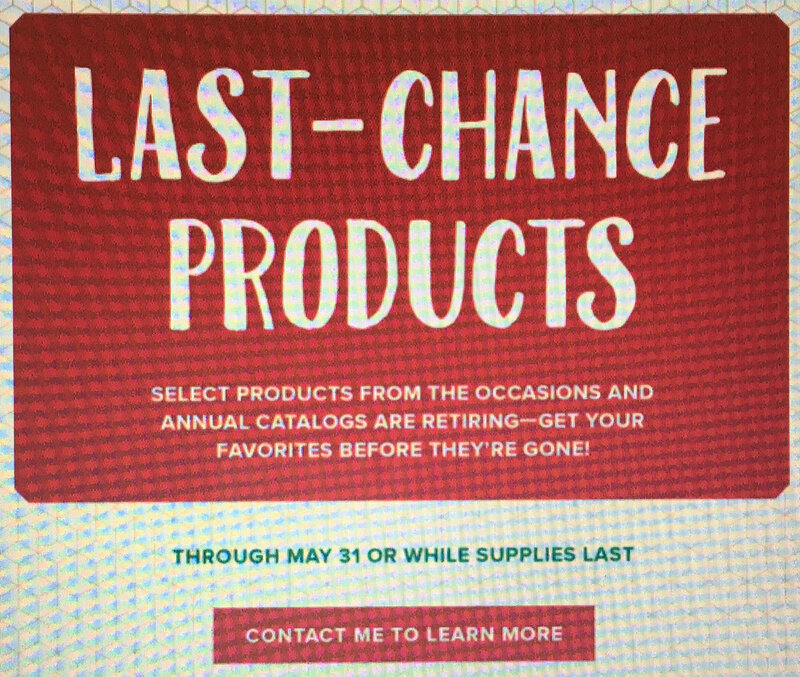 All retiring items are only available while supplies last and will be discontinued after May 31. Due to high demand for retiring stamp sets, retiring stamp sets will be guaranteed available until May 25; all other products are not guaranteed and are only available while supplies last. Have you tried Paper Pumpkin yet? If not, we have a special available for those who have never subscribed to Paper Pumpkin in the past. Sign up between now and May 10th and you’ll get 50% off your first two months subscription. This special is only for new subscribers. You need to sign up for an ongoing subscription to take advantage of this special. This is not valid on pre-paid subscriptions. At OnStage this past weekend, they gave us a sneak peak of both the April and the May kit. I can’t wait to get that April kit!